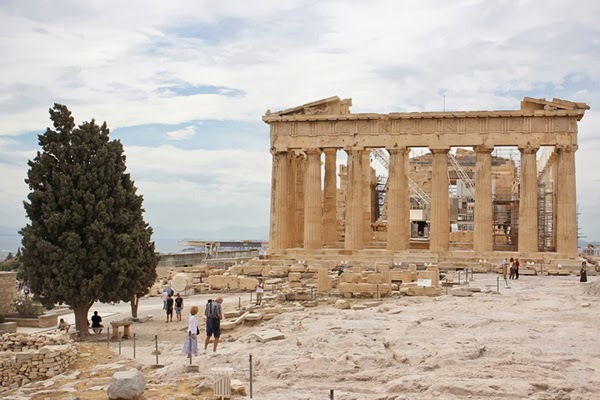 It is a sin to visit Greece and NOT check out the Acropolis. Sure I did some research but apparently, it wasn’t enough. I was in for a workout. 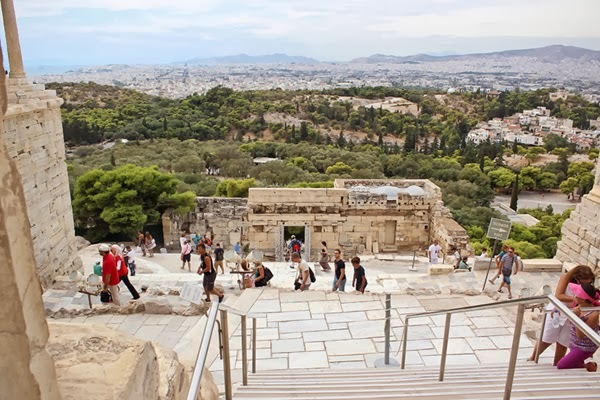 The photo you see above is the Acropolis from a far and quite high. 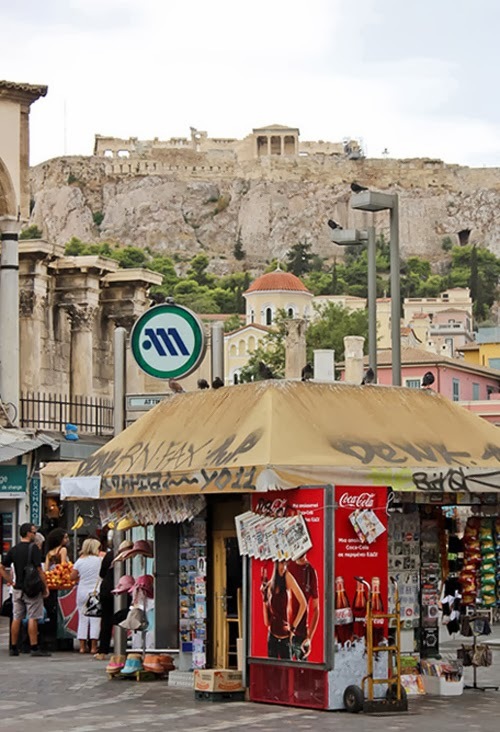 As mentioned previously, The Acropolis was discussed in our Athens Free Walking Tour but entering is not part of the tour. 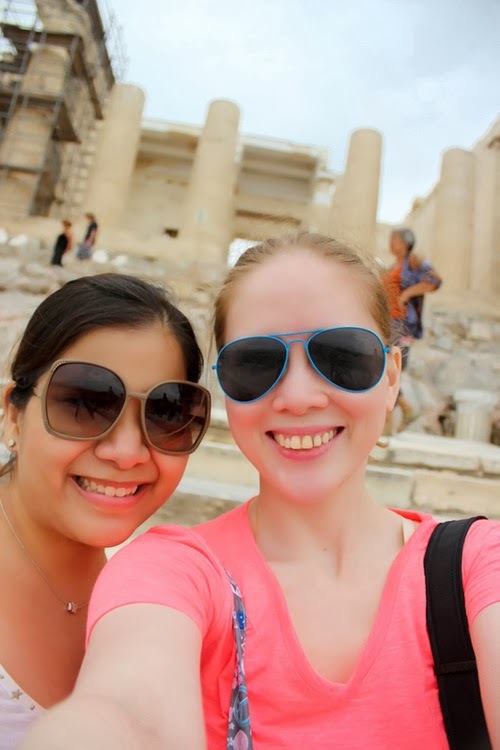 We ended our free tour at the base of the Acropolis and since we trekked up already, Tin and I decided to trek further up instead of going down. Yes, Miley Cyrus’ “The Climb” was still our song. Don’t believe me? 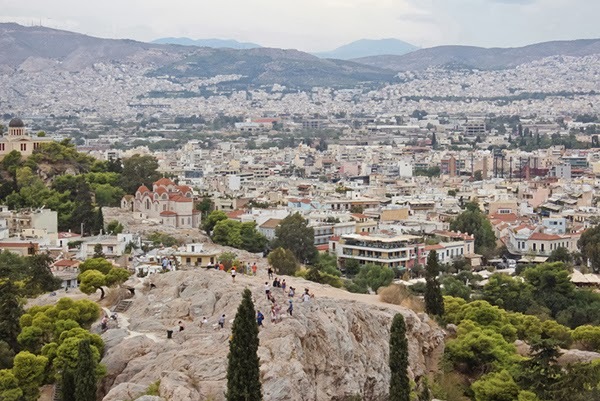 Remember the “Hill of Ares” we went to? This is what it looks like. I won’t bore you with history and information which you can get on the web. I will bore you with our photos instead. 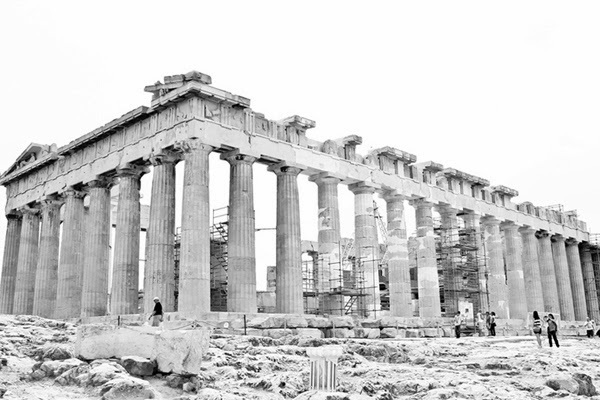 The Acropolis is not one building but a complex. 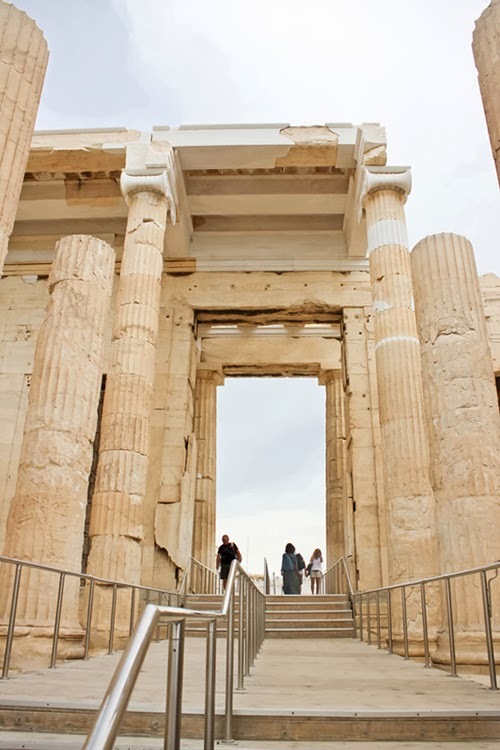 There are several structures inside including the infamous Parthenon which you will see later. 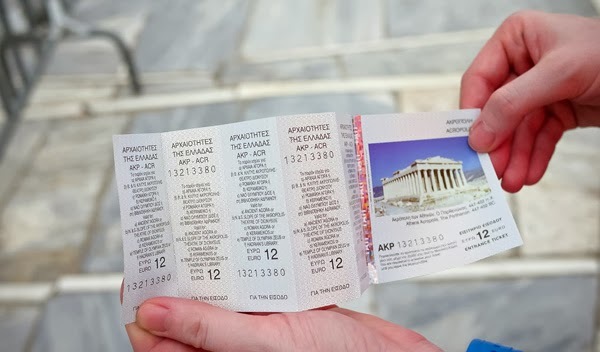 There is one ticket to purchase to get inside the Acropolis and it costs €12. 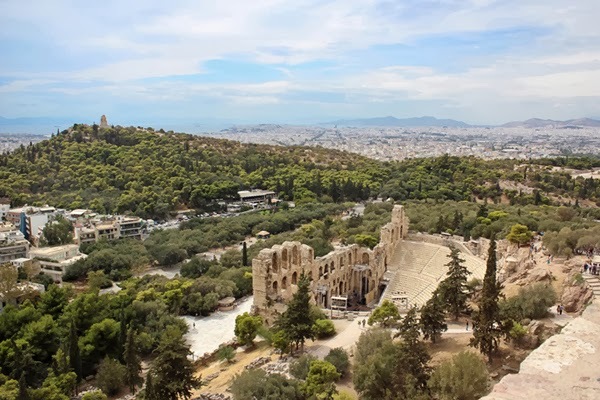 This ticket gives you access to the following archaeological sites in Athens – Acropolis (where the Parthenon is located), Acropolis Museum (which was unfortunately closed on the day we went – a Monday), Ancient Agora, Theater of Dionysus, Kerameikos, Temple of Olympian Zeus (which we passed by during our Free Athens Walking Tour) and the Roman Agora. You can ask your hotel to buy a ticket for you or you can purchase one by the entrance. 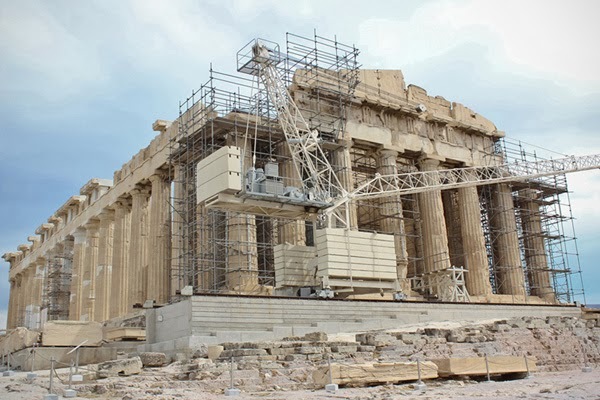 During our visit, the Acropolis was undergoing restoration hence it is best to adjust your expectations. Some people hate it because it ruins the view. If they don’t work on the structure, what will happen to it? 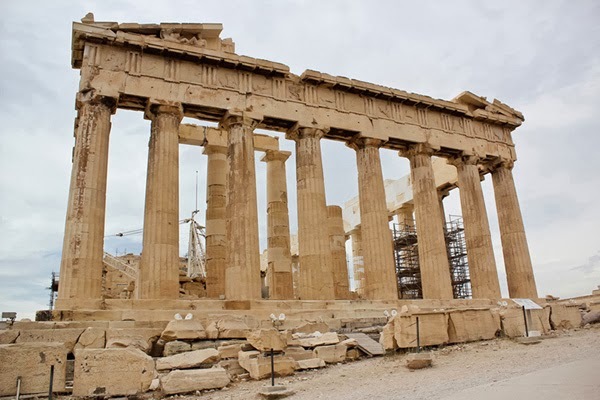 I am a fan of restoration; it enables us to see these ancient structures for a longer period of time. 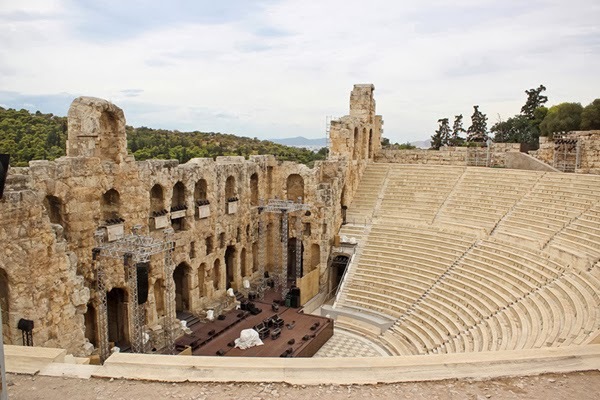 This amphitheater was restored with new marble and is being used for concerts and plays. 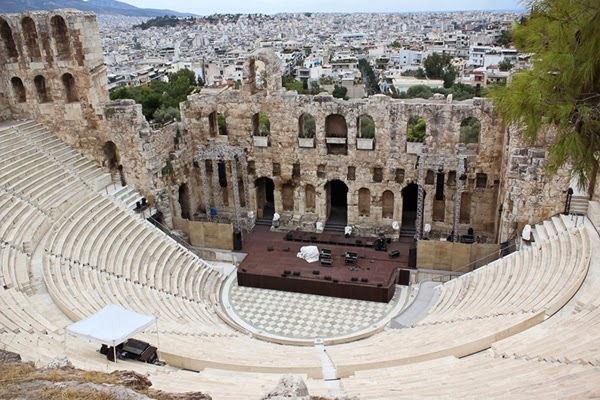 Can you imagine watching something in such a historical site? It must be amazing. 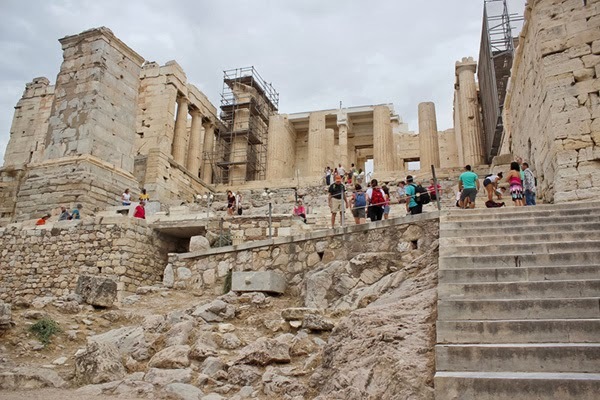 Check out how steep the steps are. 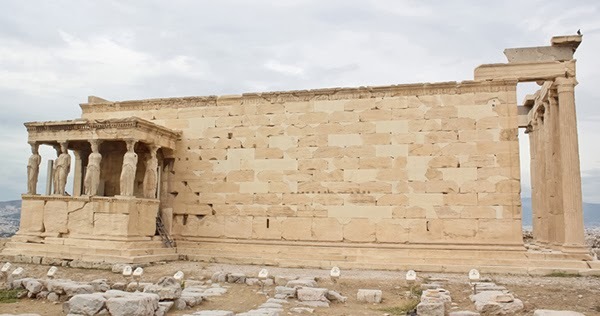 After the Odeon, the next massive structure you will see is the Propylaea. There will always be people here so expect to be photobombed. Tin and I say “Hiiiii!!! 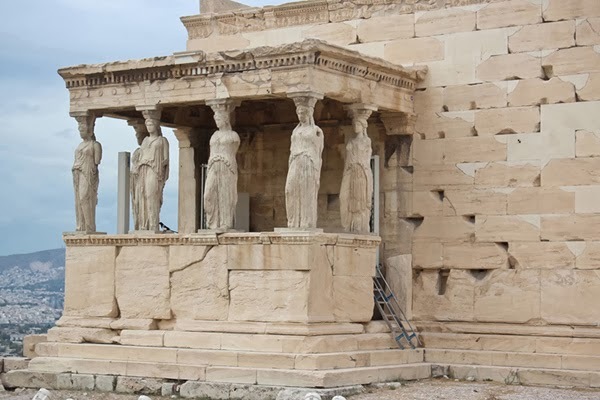 !” in front of the Propylaea. 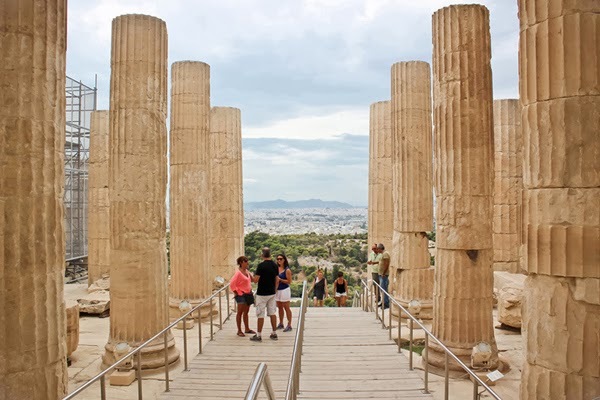 Once you reach the top of the steps, this is the view. How high are we? The horizon is in my eye level. 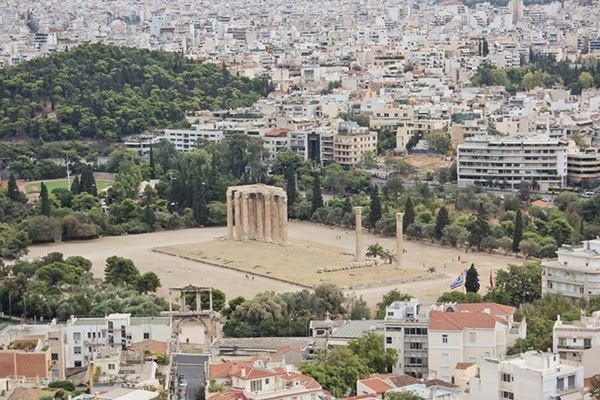 You can see the Temple of Zeus from up here. 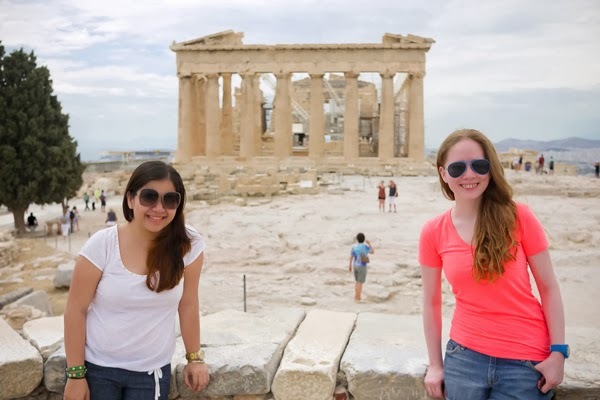 At last, the majestic Parthenon. The sky started to get gloomy creating this incredible black and white shot. Insert cliché tourist photo here – which we adooooore. Take that! 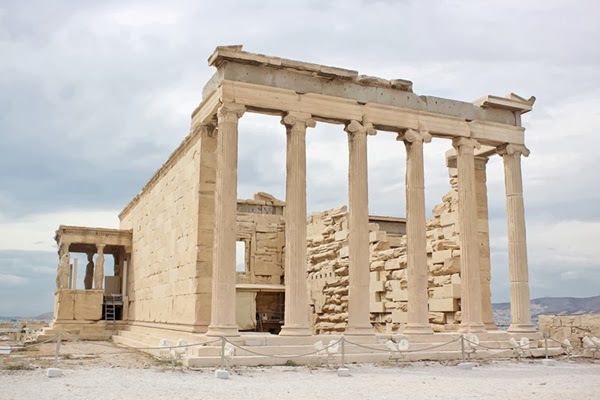 From the front, the Erechtheion looks small. When you look at the side, you see how deep it is. Here’s a closer look at the statues. We didn’t have a guide so no one was sharing information about the structures. Nonetheless, I would do this all over again and recommend it to everyone. Remember, I’m the woman who likes to learn. I will say this again and again; it is magical to see with your own eyes structures that are still standing after centuries. Was the climb worth it? Most definitely. That’s another Unesco World Heritage Site that I’ve seen! 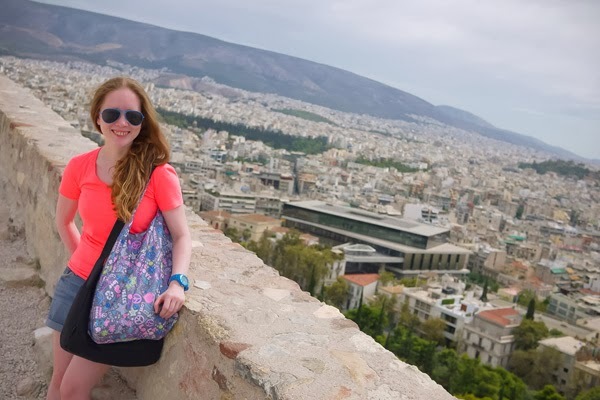 Thank you for sharing your history with me Athens! My traveling cartwheel shot continues! 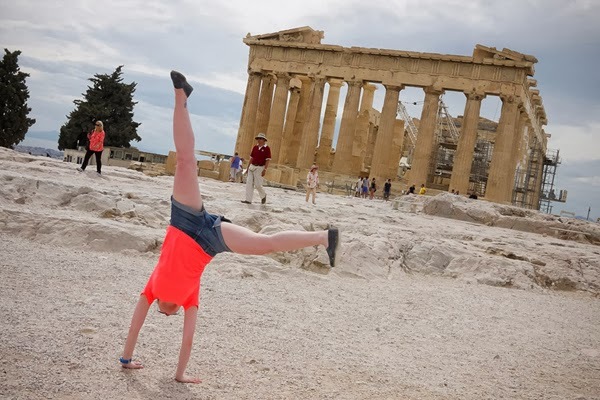 OMG, did I actually do that in the historical Parthenon??? Yeeeeessssss!! !